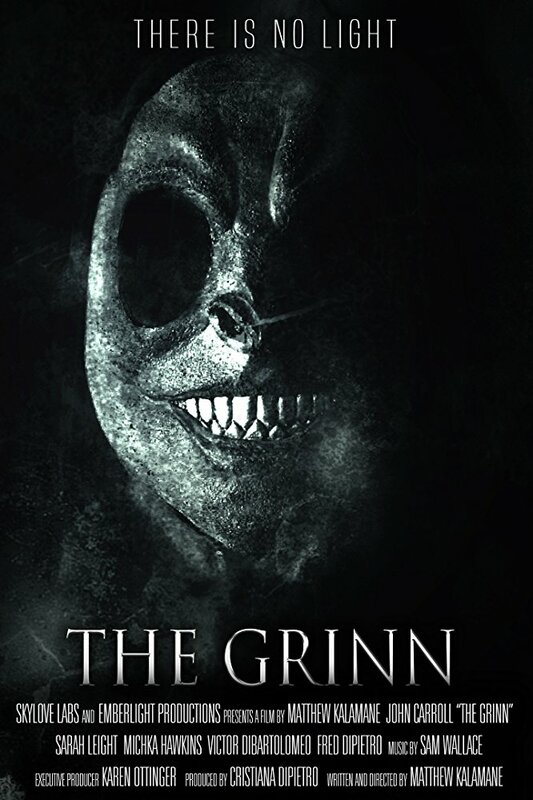 For the final entry in our look at some of the lesser-seen (and even lesser-budgeted) flicks available for your Halloween viewing pleasure via Amazon Prime’s streaming service, we come to a curious, and often fascinating, little number called The Grinn, which was filmed earlier this year in Pacific Grove, California for (at least as IMDB would have it) the king’s ransom of precisely $300. 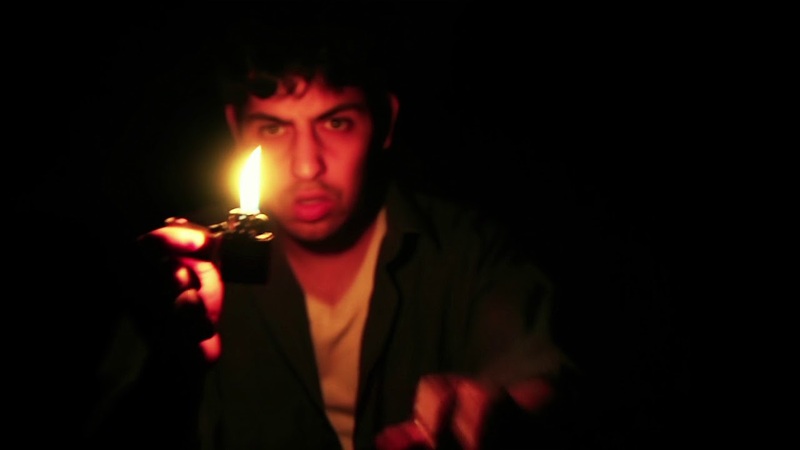 And, honestly, in may ways it shows : the sound quality can be uneven, some of the camera angles are a bit suspect, and the script is obviously an amateur effort with some real pacing problems — but here’s the kicker : it’s both inventive and surprising enough that you’ll likely be more than willing to overlook its production and plotting flaws. And speaking of the plot, here’s a brief, reasonably-“spoiler”-free rundown : A guy named Vance (played by John Carroll) wakes up with no memory of where he is, why he’s there, or even who he is beyond knowing his own name. Fortunately, he has a “guide” of sorts : one who first communicates with him only by means of his cell phone, but then later “takes charge” personally — but by then, larger questions have arisen. Is all this taking place only in Vance’s mind? And if so, is he even still alive? And what’s with the weird, scurrying figure in the mask? Disjointed flashbacks of questionable veracity fill in a lot of the blanks (or do they? ), and give supporting players such as Sarah Leight and Michka Hawkins a chance to relieve Carroll of shouldering the entire load as far as the acting in concerned, but it’s not until the film’s (really rather memorable, it must be said) third act that everything comes together in a way that can truly be said to “make sense.” If this all sounds a bit Memento-ish, you’re not too far off the mark, but this is no simple amnesia tale told in reverse in that Vance’s own sanity, as well as the reliability of his memories, is constantly in question. The first 2/3 of the film are a bit of a slog at times (I warned you about the pacing here), but stick with it and I think you’ll find the investment of your time and attention during even the slowest sequences really pays off by the time all is said and done. About the nearest thing to an unforgivable sin to be found here is the fact that, as things turn out, our titular “Grinn” (the figure in the mask) turns out to be completely superfluous to requirements, but if that’s my one major gripe, then hey — you’d have to say that Kalamane, his sparse cast, and even more sparse crew have done one heck of a job here, and that by saving this one to the end of our Amazon Prime Halloween overview, we’re closing on a very high note indeed. I guess there’s nothing more to do here, then, but for me to recommend in the strongest possible terms that you give The Grimm a shot at your earliest convenience — and to wish you a safe and happy Halloween, of course!